Need some eggs for your oviposition fantasy? 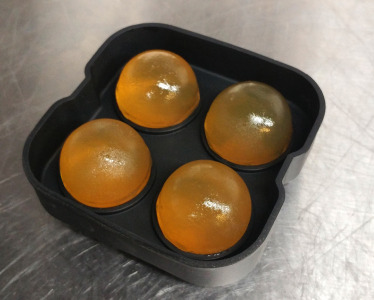 This egg mold will make 4! Each spherical egg measures 1¾". Simply pour in the gelatin, push the top into the base, and refrigerate. Here's a video to help you make the eggs, but note that this is for a differnt style egg mold. While we work on a new video, please use 8oz water and 2oz gelatin in place of the 14oz water and 3oz gelatin in this video.